The first lekgotla (special meeting) of South Africa's newly appointed Cabinet got under way in Pretoria on Tuesday, bringing together ministers, provincial premiers and other senior officials to map out the government's programme of action for the year. The three-day meeting is being chaired by Deputy President Cyril Ramaphosa in the absence of President Jacob Zuma, who was ordered by his doctors to take a few days' rest following his hospitalisation for medical check-ups over the weekend. Zuma will outline the new administration's programme for the year in his State of the Nation address to Parliament on Tuesday, 17 June. Speaking to reporters shortly before the start of Tuesday's meeting, Minister in the Presidency Jeff Radebe said the main items on the agenda were the National Development Plan (NDP), the government's medium-term strategic framework, and the ongoing mining strike on South Africa's platinum belt. Radebe said the Cabinet ministers would look to the NDP as well as the African National Congress's (ANC's) election manifesto when drawing up the government's programme of action. "Our president is deeply concerned about the protests that have been happening around the country. We are going to make sure that we go into those areas with concrete responses." Radebe said the long-running strike in South Africa's platinum mining sector had had a debilitating effect on the economy. Members of the Association of Mineworkers and Construction Union (Amcu) downed tools on 23 January, demanding a basic monthly salary of R12 500. So far, the industry and employees have lost billions of rands in earnings and forfeited wages. Two weeks ago, the government to set up a special task team to facilitate negotiations between the unions and mining companies. On Monday, however, Mineral Resources Minister Ngoako Ramatlhodi pulled the team out of the negotiations, putting the onus on the companies and unions to find common ground. 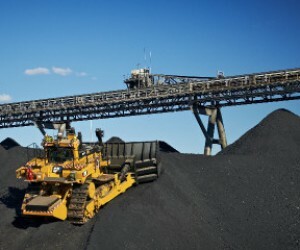 Radebe said the impact of the strike showed that the mining sector still played a major role in the country's economy. "We need to ensure that we encourage the resolutions of the strike so that we can begin with the implementation of the NDP." Regarding President Zuma's health, Radebe said the Deputy President was in constant touch with Zuma. "The President is improving. The Deputy President has reported to us that he is resting to ensure that he is ready for the State of the Nation address next week." Zuma's office said he had met with all his new ministers and deputy ministers in May, to go over policy priorities and his expectations of them.